Former WCW and TNA annoucner Scott Hudson LIVE tonight 9E/6P! Round Table - Theme Songs! The new IYH ROUND TABLE with Jack E. Jones, Oneinchbiceps, President Clinton and JuJu Be going over Pro Wrestling Theme Songs! Plus RAW, Rollins being injured and more! 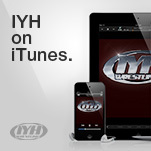 Tune in to the latest edition of IYH and listen closely for the Coke promo code by the Prez. President Clinton and Oneinchbiceps take to the internet once again, to broadcast a radio wrestling show hmm... Podcast! Like none other! Listen to all the the topics of the wrestling world and once we're done with that we've got more topics! -Bathroom tales from the Creepy Guy who host the show! All that and so much more!!! Listen to the Podcast Marks as they call in! Get well soon Jack! TNA: Who the hell are these guys ? All this plus a Jimmy Jam No-Show ! - IYH Fan fiction and more! Jack E. Jones reviewed Night of Champions immediately following the PPV! Live Night of Champions Post Show! - Are Your Balls Big Enough ?! - so much more including a surprise call in who says he was Tough Enough !?!? 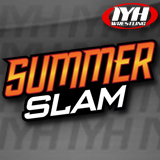 We reviewed Summerslam 2015 and NXT Take over from Brooklyn! Artist Christopher Ott went over the recent Rob Feinstein situation regarding allegedly forged autographed Roddy Piper prints. If you're not familiar with the situation read the summary here! Then we went over Tough Enough and RAW before technical difficulties brought an abrupt ending to the show. Starting at 8:05PM EST we will be joined by artist Christopher Ott who will go over the recent Rob Feinstein situation regarding Roddy Piper prints. Jack and Prez were out of commission this week so Oneinchbiceps took to the air solo. Listen to this adventure inside Incher's Head. - Rowdy Roddy Piper passing. - John Cena Broken Nose. Plus calls from the listeners. It was a night of never ending thrills and excitement! Tune in now or you'll never forgive yourself! Mani Mohtadi and Jason Cosmides joined us talking about filming the infamous 1996 Kliq Curtain Call from MSG and their current experience with WWE for the Kliq Rules DVD! Plus Jack and Clinton took calls and mourned the passing of the legend "Rowdy" Roddy Piper. Giant news on the Hulkster! Wrasslin talk wall to wall! Review of the big BATTLE GROUND mega event a view! 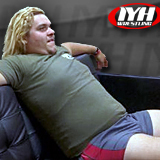 Calls, fan fiction and several entries into the new "Are Your Balls Big Enough" contest! Jack had to take care of some personal business, but that wasn't about to stop IYH from invading your ears. One Inch Biceps and President Clinton run down the week in wrestling! Listen up podcast marks ! 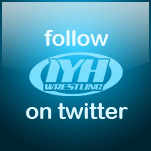 Tonight following WWE Monday Night RAW and every RAW here after we will be playing classic IYH interviews. 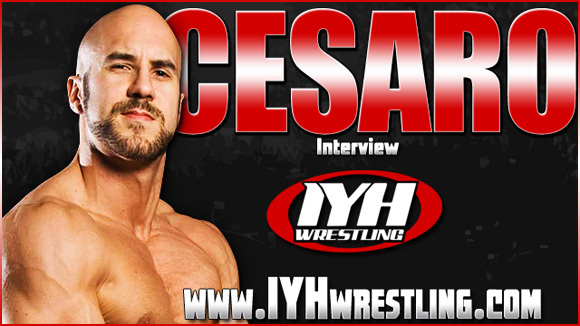 Tonight we have the 2010 interview with Claudio Castagnoli now known as Cesaro! Plus the music of British wrestling legend Giant Haystacks!